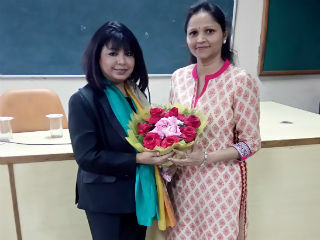 An effective session was taken by Ms. Rita Gangwani on 28 October 2015. 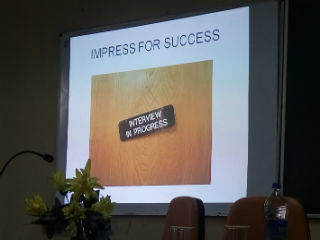 The main point of discussion in the whole session was “how to present yourself in an interview”. She talked about about dressing,things to carry for an interview, and assessment during and interview. 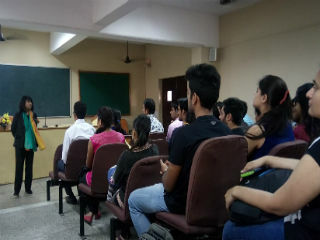 She also told that interview is a two way process which both the interviewer and the interviewee assess each other as per their expectations. She also described the “the value of packaging in corporate world. She further mentioned that packaging is more important no was compared to degree. She discussed two dimension of interview assessment that are visual and verbal . In the last she discussed various roles that a candidate can play in a group discussion. 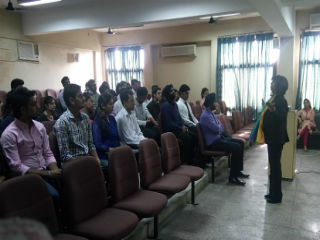 The session was very much interactive and proved to be helpful for potential employees.